"... to collaborate with the goal of creating a unified map free of overlapping areas and respecting existing city borders and future annexation plans." Read the full statement here. The future annexation plans at least in part refers to City of Decatur and City of Avondale's plans to annex a significant swath of commercial properties along North Decatur Road and the Farmers Market, respectively. The plan (to give existing cities "dibs" on existing commercial tracts) was hatched at the end of the 2014 legislative session. Red outlines expanded borders. 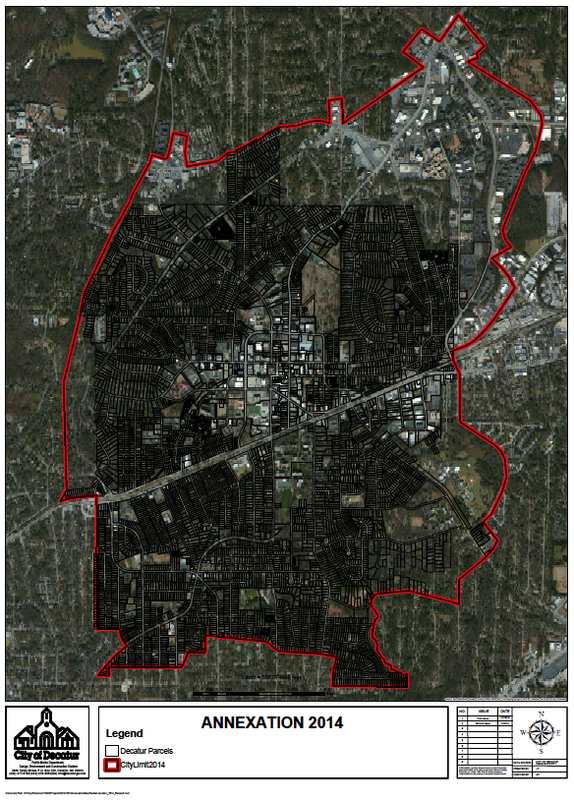 Darker outline within marks current city limits.